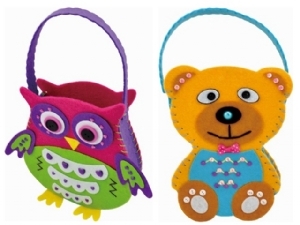 A Teddy & Owl assorted handbag making kit. The pieces are made from sturdy felt and pre-cut to shape. The 22 x 22 cm Craft Cupboard Box contains all the decorations required.